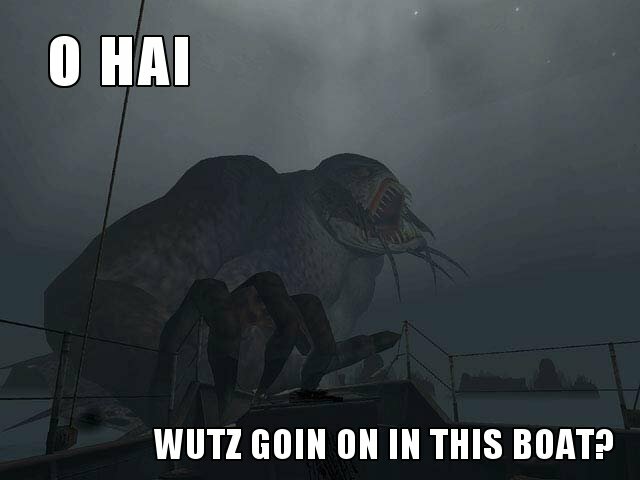 LOLTHULHU » O HAI – WUTZ GOIN ON IN THIS BOAT? 3 Responses to O HAI - WUTZ GOIN ON IN THIS BOAT? One of the best parts of the Dark Corners of the Earth game. Sad to see the two sequels earlier planned have been cancelled or at least delayed indefinitely.